Simple and fun fall decorating ideas offer easy to make crafts and home decorations that reflect the beauty of fall leaves and their gorgeous colors. 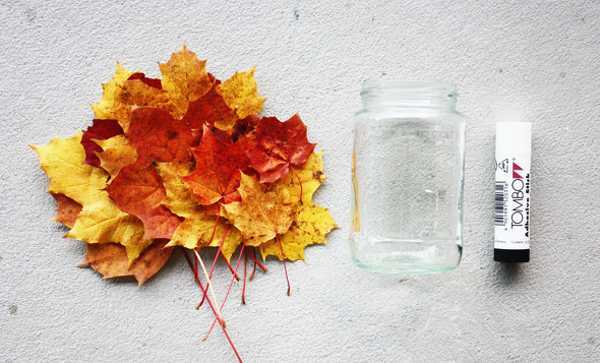 Glue and fall leaves are all you need to turn glass jars into fabulous candles centerpieces. A glass jar with bright fall leaves looks natural and attractive, providing a charming candle holder for your outdoor rooms or interior decorating. 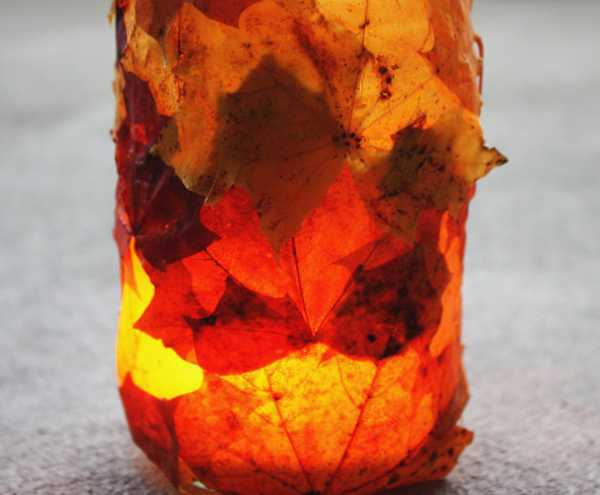 DIY Fall Lantern design with simple and easy to follow instructions was found on Morning Creativity blog. 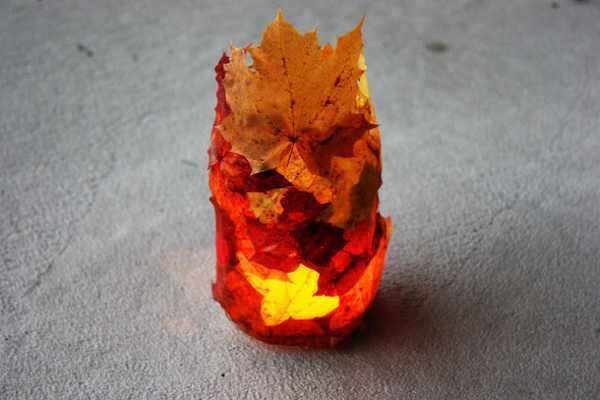 Fall leaves make this candle holder design look unusual and original. Fall colors and leaves texture add charm to a glass jar, celebrating the beauty of the fall season. This simple fall decorating ides is a great way to bring the fall colors inside your home, making gorgeous candles centerpieces with a glue stick and autumn leaves that will spice up your fall decor. Tea candles add a warm glow to glass jar and fall leaves candles centerpieces, offering simple and inexpensive, but elegant and interesting fall decorating ideas for your home.